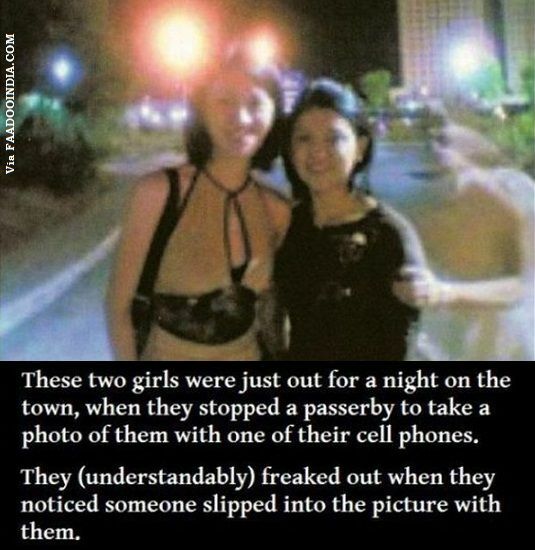 Artistic Land : The Scariest Ghost Photo EVER! So a guy quickly ran by/behind them as the shutter was open. does it help you sleep at night to lie to yourself like that? see the angle of the street lighting at that guy. its the same with the girls ... since when ghost's have shadow (because a street lamp ,lights their solid body ) ??? Yeah must be very fast, that he have to hold on the girl's arms to balance himself before the camera.